Yang, C.; Xue, X.-S.; Jin, J.-L.; Li, X.; Cheng, J.-P. Theoretical study on the acidities of chiral phosphoric acids in dimethyl sulfoxide: hints for organocatalysis. J. Org. Chem. 2013, 78, 7076−7086. Klicić, J. J.; Friesner, R. A.; Liu, S.-Y. 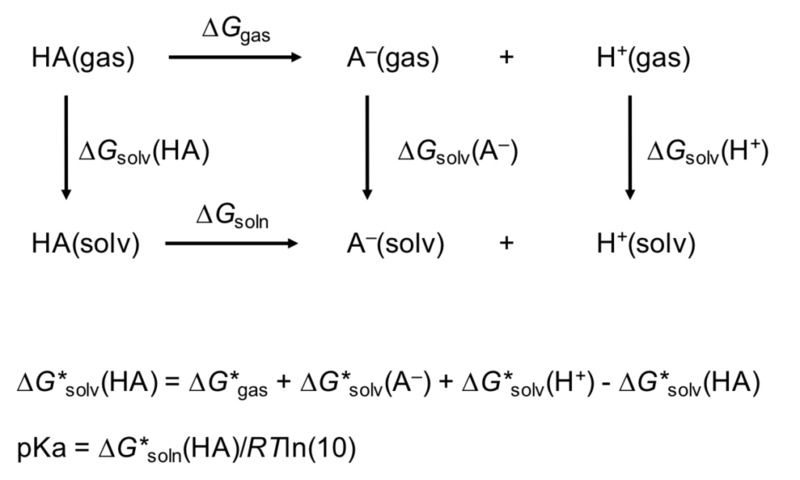 ; Guida, W. C., Accurate prediction of acidity constants in aqueous solution via density functional theory and self-consistent reaction field methods. J. Phys. Chem. A, 2002, 106, 1327–1335. Liao, C.; Nicklaus M. C. Comparison of Nine Programs Predicting pKa Values of Pharmaceutical Substances. J. Chem. Inf. Model. 2009, 49, 2801–2812. Marten, B.; Kim, K.; Cortis, C.; Friesner, R. A.; Murphy, R. B.; Ringnalda, M. N.; Sitkoff, D.; Honig, B., New Model for Calculation of Solvation Free Energies: Correction of Self-Consistent Reaction Field Continuum Dielectric Theory for Short-Range Hydrogen-Bonding Effects. J. Phys. Chem. 1996, 100, 11775-11778. 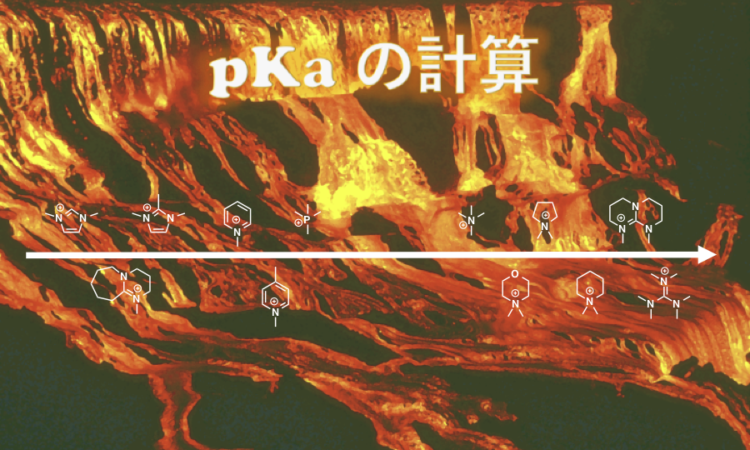 Bochevarov, A. D.; Watson, M. A.; Greenwood, J. R.; Philipp, D. M., Multiconformation, Density Functional Theory-Based pKa Prediction in Application to Large, Flexible Organic Molecules with Diverse Functional Groups, J. Chem. Theory Comput., 2016, 12 (12), 6001–6019. Hilpert, H. et al., β‑Secretase (BACE1) Inhibitors with High in Vivo Efficacy Suitable for Clinical Evaluation in Alzheimer’s Disease. J. Med. Chem. 2013, 56, 3980−3995.